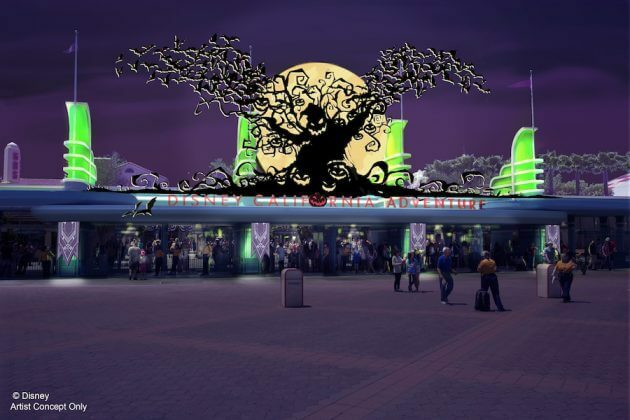 Disney California Adventure is gearing up for a ghoulishly good time this Halloween with Haul-O-Ween at Cars Land, Monsters After Dark at Guardians of the Galaxy – Mission: BREAKOUT!, a Headless Horseman statue and more. The spooky magic won’t take long to send chills down your spine as Oogie Boogie, the villain from “The Nightmare Before Christmas,” will welcome you to the park with some dark and ominous decorations. Oogie’s oversized silhouette will loom large over the entrance while a swarm of bats will engulf Carthay Circle Theatre. This delightfully macabre decor, along with the other new experiences and some returning favorites will pop up September 15 and remain through October 31.